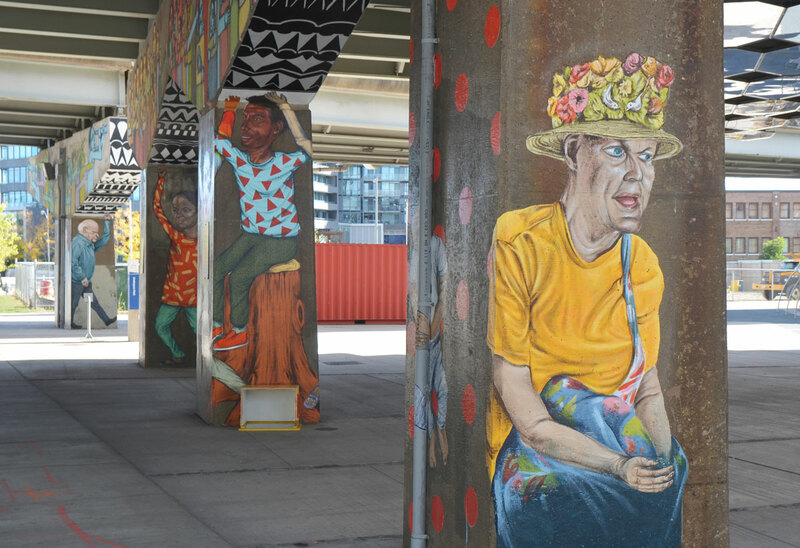 I first blogged about the murals and street art in Underpass Park last summer after the pillars and bents on the east side of Lower River Street (at the skate park) were painted. 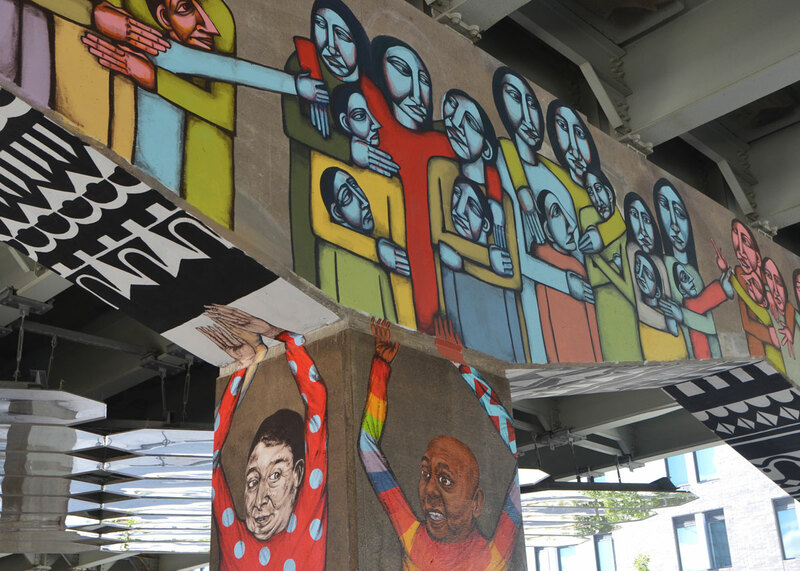 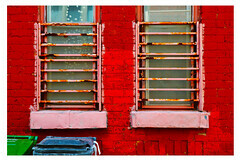 The newest paintings are on the west side of the street. 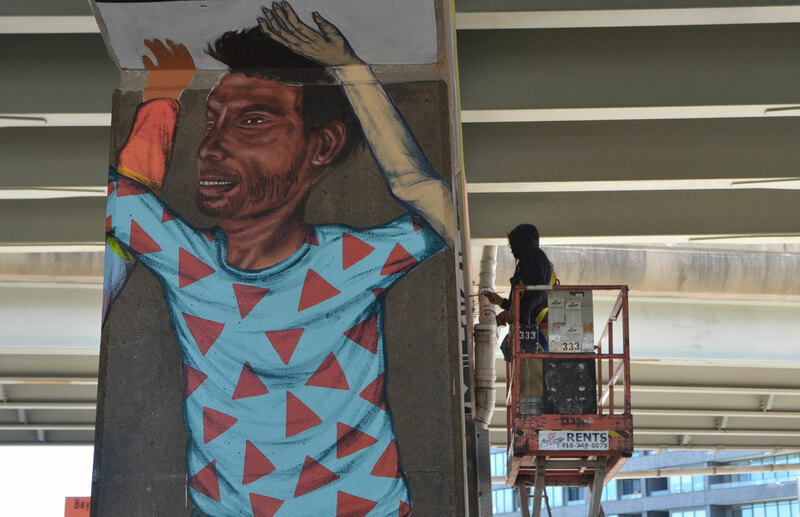 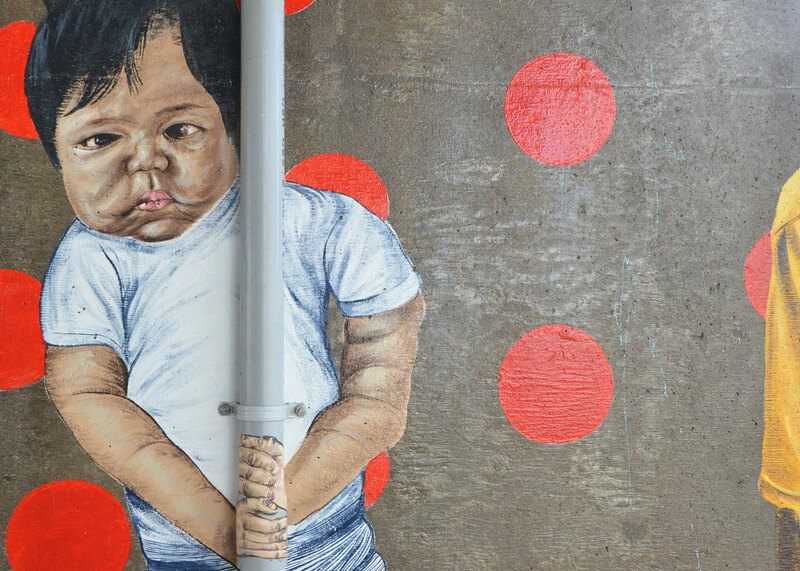 Street artists Troy Lovegates and Labrona are in the midst of painting 16 portraits of 16 east end residents – one on each face of four pillars that help support the Eastern/Adelaide/Richmond overpass. 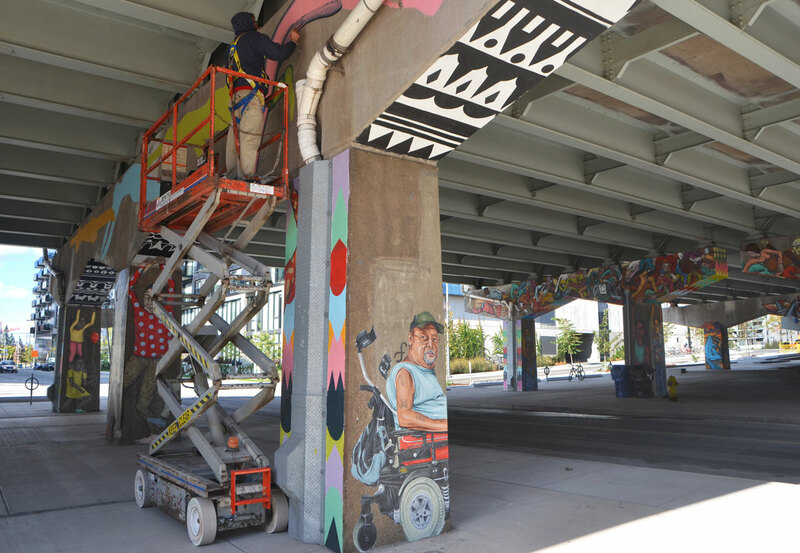 The pillars on the east side of Lower River street were painted as part of the Pan Am Path and were completed before the Pan Am Games started last summer. 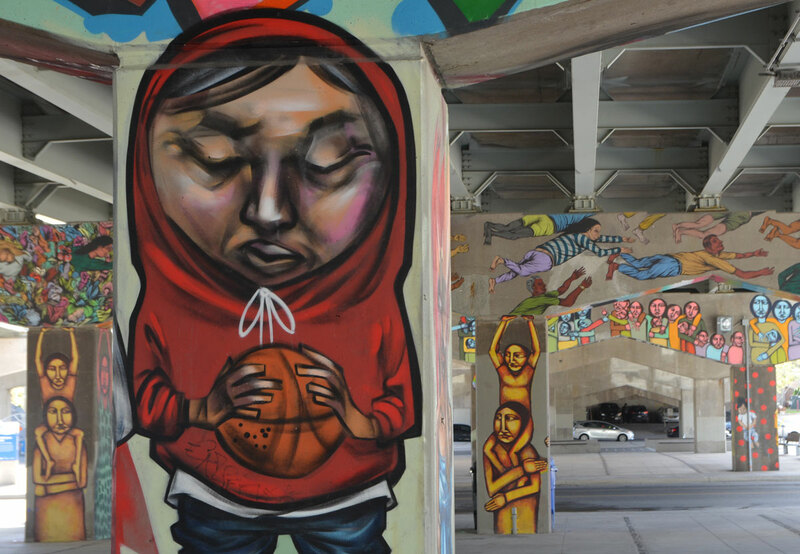 below: From inside the skate park, looking westward. Lots of people! 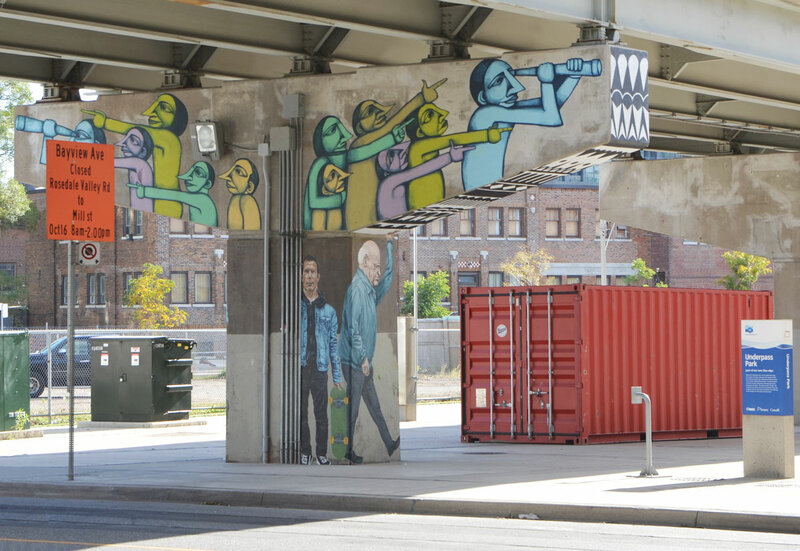 below: Looking beyond the park and out over Bayview Avenue, train tracks, and the Don River. 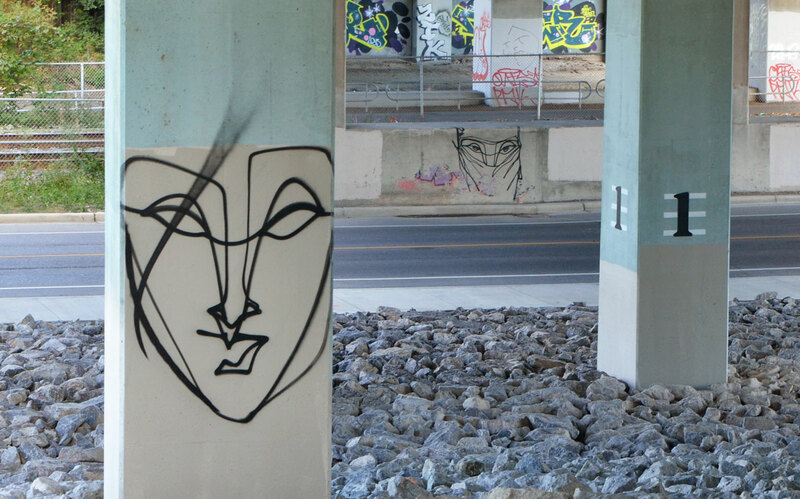 Two faces by anser. 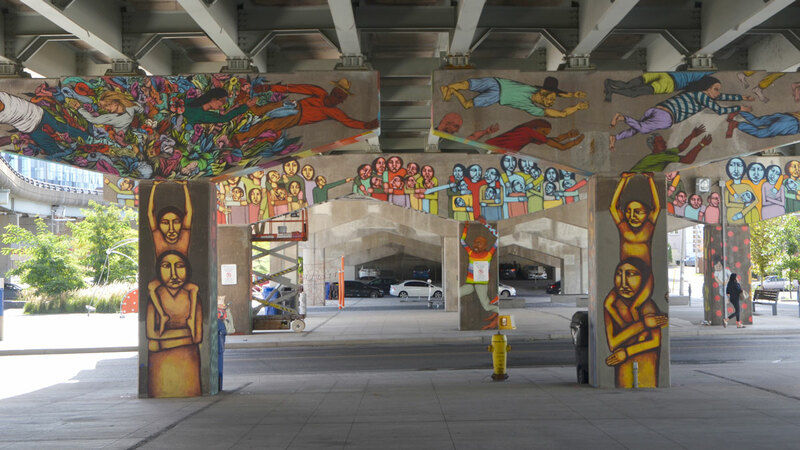 The murals on the pillars in the park are part of the StreetARToronto initiative.